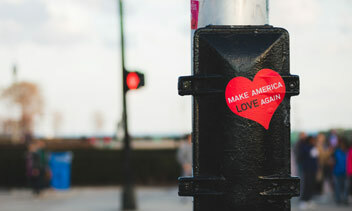 For the past several years, Julie Spira has been writing about and quoted in articles on the collision of politics and love due to Donald Trump’s presidency. 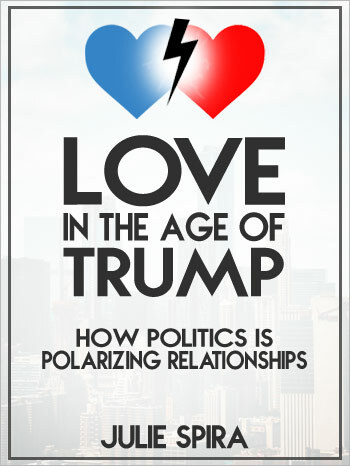 Love in the Age of Trump: How Politics is Polarizing Relationships is a view through the lens of an internationally recognized and award-winning dating coach who conducted personal interviews with over 100 people, both singles and couples, on how politics has impacted their romantic relationships. Can Love Survive Donald Trump? 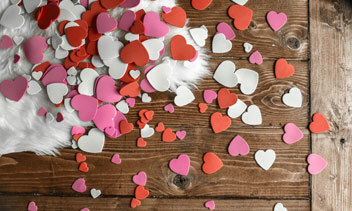 I grew up believing love conquers all, but in this current political climate, I now fear President Trump has shattered romance as it once existed. 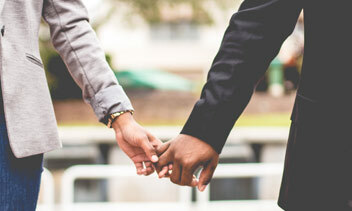 As a dating coach in the business of forging love relationships, I saw first-hand the strain on both single daters and couples when Donald Trump ran for and became president. And I’ve been hiding a secret. During the campaign, my long-term boyfriend and I were on opposite ends of the political spectrum. He was on the right, and I was on the left. Initially, this didn’t alarm me, but over time, the division began to tear us apart, thus putting our relationship to the test. We asked, and you answered. 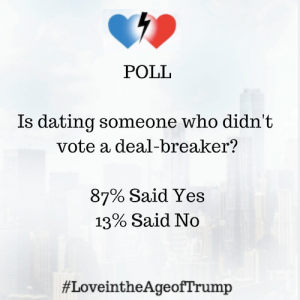 Close to 90% said they would not date someone who didn’t vote in the Presidential, or even the Midterm Election. Good luck getting a date in D.C. if you work for the Trump administration, and it’s not just happening in Washington. All across the country, singles are asking the big questions of who did you vote for and who do you work for? It’s been one-year since Donald Trump took office, and singles are still dealing with the big political elephant in the room, our commander-in-chief and his tweets. During the election, and in the aftermath since Trump became president..